Casey Parsons son Jamie --- . 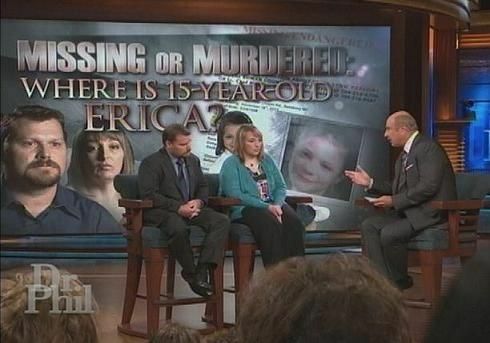 December 17, 2011 Casey Parsons said this was Erica's last trip, she never returned. Casey said Erica went with Nan Dec 2011 Casey Parsons said all trips to meet with Irene "Nan" Goodman for Erica Parsons to visit her, that they met at McDonalds in Mooresvile, NC for the exchange --- . Casey Parsons: "The 3rd trip she want to Nans on, that was the final trip where she stayed with Nan and was December 17th of 2011 and that was suppose to be a 3 week trip for Christmas. She'd already went and visited in November and come back and it was like a Thanksgiving but it wasn't on Thanksgiving week because she was with us that week. She also went in another week in September and come back." Reporter: So she went at Christmas time and previously she went in September and November? Casey Parsons said both woman said Erica was their nieces to the baby. --- . Reporter: So, how is it that three law enforcement agencies can't track down an older woman and a teenager? Casey Parsons: Well, it's three law enforcements and also us 'cause we've been looking for her too. Um, I do not know. We did track down- there was also two other people there that was with her when she got picked up. And, we have tracked down them people. Them are real people and why they're not being questioned I don't know, because they also- they have to know. They have to know where Nan's at. And they would be, I mean, they was there. Same car, same place, same everything. And them people's names and everything is panned out. And I never met them until them days. So. Reporter: Do you know who they were in relation to Nan? Casey Parsons: Yes. Uh, the lady gave me the name Strawberry and the detective has since tracked that down and talked to Erica's biological father and that was just a nickname but her real name is Janice Jackson. And, they found her at Carolina beach. And, that was- I do not know if she ever married Billy, Erica's biological father, or if that was a girlfriend, but she had a kid with Billy. And, the other lady there was an adult kid, she was about 18 or 19 years old and her name was Kelly. And, Kelly also had about a 7 month old baby that they said was Kelly's and that they was saying ,"This is your niece, Erica" and "Meet your niece." And, that was a 7 month old baby then. And, so, they was- the girl, Kelly, and the baby that was related to Erica. Strawberry, unless she married Billy, I guess would be unrelated- just, the mother of that other daughter. You dropped her to a lady at McDonalds and you've not seen her since? Dr. Phil: Okay, So 12/17 she spends two weeks with "Nan." Casey Parsons: She went in November also again for another weekend. Dr. Phil: But then on 12/17 you met again at the same McDonalds. Dr. Phil: Okay and this time she was going to go for two weeks? Dr. Phil: And that's the last time you seen Erica? Dr. Phil: You dropped her to a lady at McDonalds and you've not seen her since? Casey Parsons: I've not seen her since. "Irene, Irene Goodman told me she was her grandmother, and we believed her." --- . Casey Parsons: Irene, Irene Goodman told me she was her grandmother, and we believed her. Dr. Phil: But do you now wonder if maybe you were getting scammed? Casey Parsons: With the other people thats in the car with her at the time, they come out to be the people who they said they were so I really believe there is Irene Goodman and she is Erica's grandmother. Dr. Phil: Okay, but the police can't find any Irene Goodman, we can't find any Irene Goodman, we've done everything in the world we can, and Irene Goodmans exist but it isn't any one of them. We found 13, believe 7 alive and none of them have any connection to this case whatsoever. You say the last time you dropped Erica off with "Nan" she was with a woman named "Strawberry?" Dr. Phil: And she was nicknamed "Strawberry" because she had red hair? Dr. Phil: But you (directed to Sandy) said the last time you dropped Erica off that there were three woman and a baby in the car. Dr. Phil: And when you (directed to Casey) said it, you said it was just "Strawberry." And when you (directed to Sandy) said it, there was three woman and a baby in the car. Excerpt from Transcript from Casey and Sandy Parsons on the Dr. Phil Show 08/20/2013 Sandy Parsons said he never met "Nan" and he never talked to "Nan." "I stayed in the van and a, I gave Erica a hug and she got out of the van." Casey Parsons: Kelly, the half sister was there and Kelly had the baby, seven month old baby. And it was there too, a little bald headed baby with earrings. A pretty little girl. It was all there. Both of them. Dr. Phil: So you say "Strawberry?" Casey Parsons: And her sister. Casey Parsons: And a baby. Dr. Phil: And a baby? (Directing to Sandy Parsons) And is that what you remember? Sandy Parsons: Yes, and I stayed in the van and a, I gave Erica a hug and she got out of the van, actually when she reached over the seat I patted her on the head cause that was, I was a "pattin' daddy" (he gets emotional), and when the kids run up to me to hug me around the waist, I'd pat them on the head. Now I can't hug none of my kids. "I dropped her off the last time. That's the only time I ever dropped her off the last time, the last time on December 17th." "You've never met "Nan" face to face?" "Not face to face, it was across the parking lot." --- . Dr. Phil: Sandy, you talked to us in the pre-interview and you said Casey and I would go back and forth dropping Erica off to be with "Nan." But then in the interview you said you never met "Nan" face to face, that you trusted your wife. (Dr. Phil reading from interview): "when Erica went the first couple weekends I did not drop her off, I was at work, Casey dropped her off." Sandy Parsons: I never said..... I dropped her off the last time. That's the only time I ever dropped her off the last time, the last time on December 17th. Dr. Phil: You've never met "Nan" face to face? Dr. Phil: Why, why would you, this woman is about to drive off with your daughter. First time, second time, last time, why would you not go look this woman in the eye? Sandy Parsons: I just trusted my wife that this woman was telling everything. 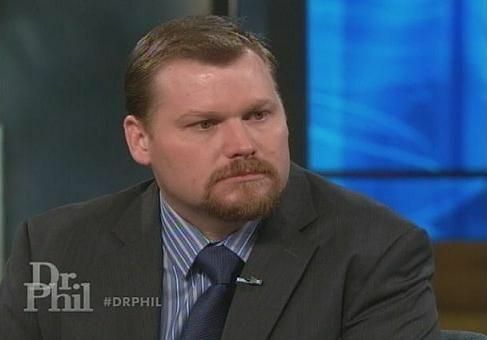 Dr. Phil: I understand you trusted your wife, I'm not saying this would be an act of distrust with your wife, but why wouldn't you get out of the van and go met this woman that's taking your daughter off? Sandy Parsons: Well, I ain't never been the daddy that took them to doctors or dentist appointments or anything like that, she done all that. That was her role in our relationship until she got sick. Dr. Phil: Right. Umm, but does it seem odd to you in retrospect that you never met this woman? Sandy Parsons: I just didn't make an effort to talk to this woman. Jamie Parsons discovered his sister Erica Parsons missing from the family home. 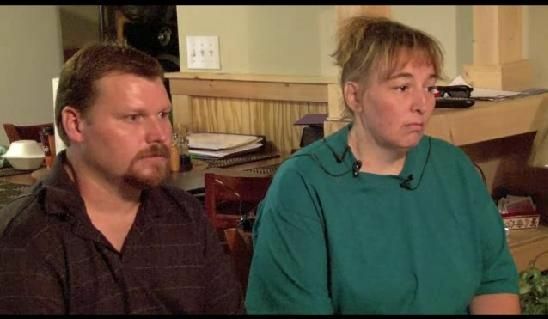 "James Parsons stated he asked his parents Sandy and Casey Parsons where Erica was at and Sandy and Casey told James that they had been to Asheville, North Carolina and took Erica to her grandmother's residence." --- . "That on July 30, 2013 the Rowan County Sheriff's Office received information from James and Scott Parsons that James Parsons' sister hasn't been seen since approximately November or December 2011. James stated that on the morning in November or December 2011 he awoke and realized his sister Erica Lynn Parsons was not at the home. At the time Erica was approximately 13 years of age. James Parsons stated he asked his parents Sandy and Casey Parsons where Erica was at and Sandy and Casey told James that they had been to Asheville, North Carolina and took Erica to her grandmother's residence."